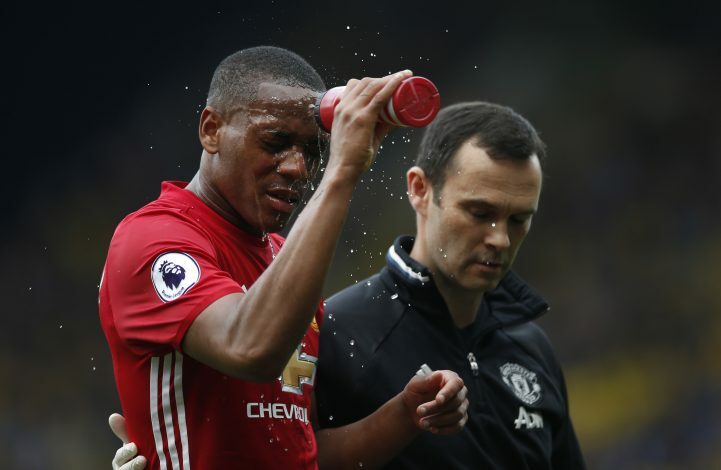 Manchester United forward Anthony Martial has posted an update on the injury he suffered against Watford. Martial was involved in a clash of heads with Watford’s Janmaat, and as a result, was taken off the pitch before half time. Martial posted “Feel much better today. Thanks for all your support and your messages!” on his Facebook page on Tuesday. Manchester United manager José Mourinho was asked about Martial’s injury after the 3-1 loss to Watford. Mourinho revealed that he doesn’t know much about the injury, and maintained his stance that it was a foul and the referee should have stopped play. Pressed further on the matter at the end of the press conference, the manager continued: “I don’t know, I promise I don’t know. You are asking about things I cannot tell you.